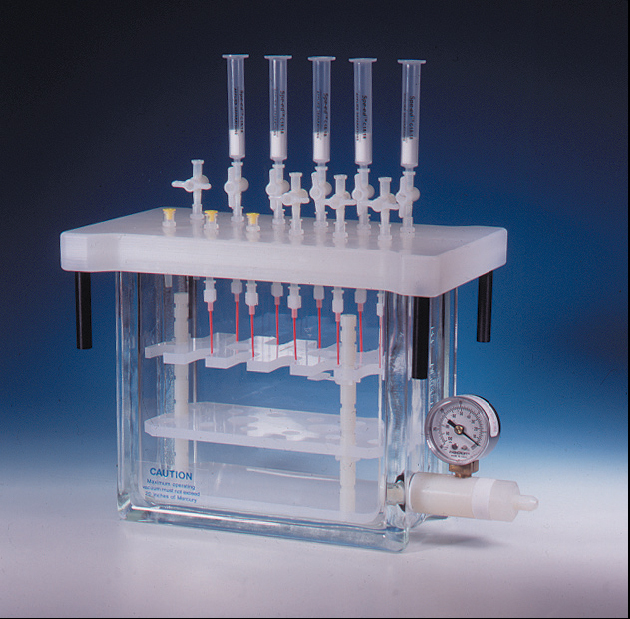 results for up to 24 columns, cartridges or 25 mm syringe filters. required to prep multiple samples. via polypropylene, optional stainless steel, or Teflon needles. elution are available in 12, 16, and 24 port configurations. Vacuum Pump impulsed by serving dish, without oil, declaring the innovative silent technology and mechanics. Slow vibration and silent Motor directly conducted without the mechanism of transmission and rubber feet of quality that mantain the noise level only upon approximately 50 dB. 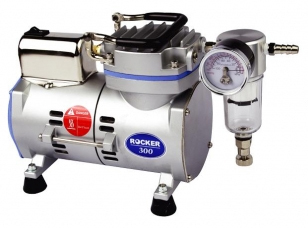 Weigh compact and light The aluminum mold and its precise construction make the R-300 so little and compact, with a weight of only 4,1 kg. The design without oil makes the R-300 clean and free of maintenance, we guarantee the free supply of spare parts during two years of 3000 working hours (except humidity filter). Retention Mechanism: Weak anion exchange with aqueous matrix, normal phase with non-polar organic matrix. COPYRIGHT 2011 REVODIX. ALL RIGHTS RESERVED.